A pet chameleon finds himself in the wild west, stumbling into a town whose inhabitants are looking for a hero. Can he be that hero? 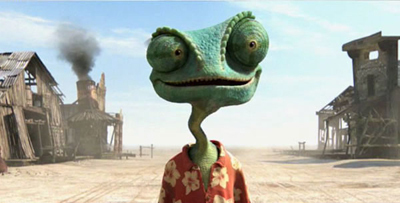 Johnny Depp and Gore Verbinski team up once again for Rango, one of this year's most popular animated movies. You may have heard about eating strawberry Pop-Tarts with Kim Novak, but how well do you know Rango?